I became a chiropractor because I was one of those chiropractic miracles stories. It all started because I was born with congenital torticollis meaning I had this birth trauma that affected my neck. They tried to fix it surgically without too much success. The neck problems I had since birth resulted in headaches that were blinding, horrible migraines when I was about 17 and 18. It was one of the unhealthiest periods of my life. I was seeing a lot of family doctors and medical doctors including specialists and neurologists. Though they were great people, they weren’t able to help me. They just suggested more medication. Medicine has its time and place, but it wasn’t solving my problems. So I ended up going to a chiropractor as a last resort. My headaches and migraines went away, and in about 1-2 months I started noticing that I didn’t have my asthma anymore or chronic sinusitis. It was about that time that I decided I wanted to be a chiropractor. Having my diagnosis and then later becoming a chiropractor…it’s like I was born to be a chiropractor. 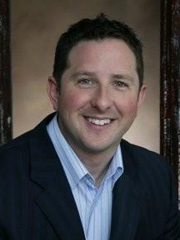 Dr. Orr pursued a Bachelor of Science in biology and chemistry from Laurentian University and eventually a Doctor of Chiropractic from the Canadian Memorial Chiropractic College in Toronto, ON. Dr. Orr was the first intern of his class to get a walk-in patient that was an infant with colic. “I’ll never forget seeing this baby who visited about four times. Seeing the change that chiropractic made in that infant was dramatic.” The colic went away; the parents were able to sleep, and it helped create a healthier home for everyone. Now, Dr. Orr specializes in the Activator Methods(R) technique, serving as a clinical instructor for the technique for over six years. Prior to that, he was an associate clinical instructor for seven years. Dr. Orr and his wife Treva have one 11 year old boy that keeps the family busy. “Luckily we like to do a lot of the same things as Matthew” Dr. Orr jokes. As parents, they spend a lot of time helping him stay active in sports and healthy through regular adjustments. They also enjoy staying involved in the community, exercising, reading, playing guitar with friends and traveling. He is also a supporter of the Rotary Club and United Way. To see for yourself how chiropractic care can help you reach your potential, contact us today.